The lean Six Sigma methodologies are designed to eliminate waste, bottlenecks, and achieve total customer satisfaction. If you are looking for ways to maximize revenues by improving processes and getting more customers, then lean Six Sigma certification courses might be your best option. Lean Six Sigma methodologies are quite similar to typical Six Sigma quality improvement techniques with the only difference that Lean Six Sigma helps both in reducing defects and speeding up business processes whereas Six Sigma is normally limited to reducing defects. Lean Six Sigma methodologies are increasingly being preferred by all types of industries because in today’s fast-changing world only those companies that employ the most cost-effective business processes can hope to remain competitive. Lean Six Sigma helps because it allows companies to reduce operational costs by identifying and eliminating steps or procedures that add little or no value to a business process. Companies can easily improve quality and efficiency just by combining the basic concepts of Six Sigma with the principles of Lean Six Sigma. In industry circles, Lean Six Sigma is termed in many different ways such as Lean Service, Lean Manufacturing, and Lean Enterprise depending on the type of methodology being utilized. Lean Six Sigma principles can be implemented along with other Six Sigma concepts in any type of company, be it a manufacturing company or a service provider. When Lean Six Sigma concepts and methodologies are implemented, it helps organizations to speed up their business processes without affecting the quality of the outcome. As business processes are optimized, it becomes much easier for companies to reduce operational costs related to the maintenance of additional inventory of both raw materials and finished goods. Optimized business processes then enable companies to clear customer orders within the specified time and budget. Just as with standard Six Sigma, Lean Six Sigma also stresses providing the requisite training to employees so that they become familiar with the tools and techniques that will be utilized during the implementations. Lean sigma also encourages key mentors and senior management personnel to understand the basics so that the implementations can be executed without affecting the day-to-day operations of the organization. Lean Six Sigma involves the use of advanced tools and techniques that help companies to reduce operational costs, reduce production cycle times, expand existing capacity, and improve overall productivity. It makes use of Value Stream Mapping (VSM) for identifying improvement opportunities that exist in a business process. However, VSM has limited use and other advanced analysis tools are required for resolving complicated implementation issues. When combined with standard Six Sigma concepts, Lean Six Sigma helps in identifying and resolving quality issues that are vital for attracting and retaining customers. Offering quality products or services in turn helps in developing customer loyalty that is vital for the success of any business, large or small. However, for realizing the full potential of the implementations, it is important to execute Lean Six Sigma projects under the guidance of Six Sigma Black Belts and Six Sigma Champions. In the past, increased competition forced companies to deploy quality improvement techniques such as Six Sigma. With customers demanding more quality, companies had no other option but to deploy even more effective quality improvement techniques such as Lean Six Sigma. Quality improvements are an ongoing process and we never know what new techniques will be developed in the future that may replace both Six Sigma and Lean Six Sigma. Lean Six Sigma methodologies focus a lot on waste. Waste includes using too many staff members to complete a task. This causes a business to spend too much money on labor and even doubles the efforts which can slow down production. Waste also includes making unnecessary purchases on equipment or resources that you really do not need. When someone goes through lean Six Sigma certification courses they learn how to identify the waste and reduce it as much as possible. This can help a business not only cut down on cost, but also improve productivity with employees. Bottlenecks occur and thus slow down a business process significantly. When employees attend Lean Six Sigma certification courses, they are taught how to identify bottlenecks within an entire organization all the way down to specific processes. Having the capability of identifying bottlenecks gives your company the opportunity to eliminate them and maximize productivity. Lean Six Sigma courses provide excellent training with thinking critically and coming up with creative solutions to fix problems. Customer satisfaction is another focus on lean Six Sigma methodologies. Customers are where the money comes from and if you cannot make them happy, then you may not be in business for too long. Businesses that have noticed they have had a large loss of customers often send their staff members to lean Six Sigma certification courses to turn things around. Lean Six Sigma training will help employees understand and identify the needs of a customer and how to better meet their needs. This will help you as a business achieve and build better customer relationships and increase your customer base. 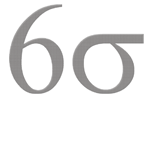 Lean Six Sigma methodologies are designed for improving business processes in many ways. Your business can benefit by eliminating waste, bottlenecks slowing down productivity, and improving customer satisfaction. These courses can be taken online or in a classroom. They will benefit the employee but also your business. You will find that better productivity is a result along with higher revenues in the end.